Is Home Chef right for you? 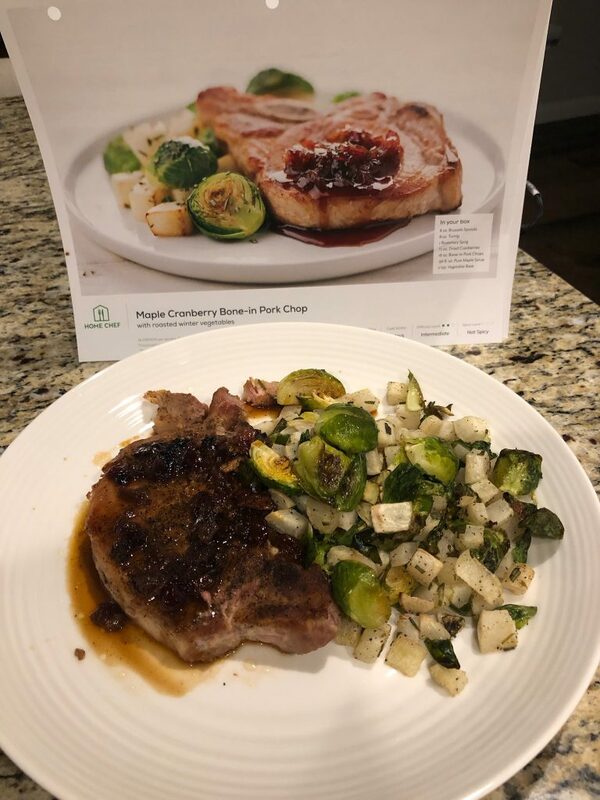 Recently, my family and I tried Home Chef on a recommendation from a co-worker. I was a bit hesitant because I have become accustomed to doing my own grocery shopping and thinking up dinner on my way home from work. Choosing what to have for dinner a week in advance, and having the ingredients show up at my door, was a foreign concept. Upon first looking into Home Chef, I was pleasantly surprised by the variety of choices, the quality of their recipes, and the convenience of the whole experience. As a registered dietitian, I also wanted to evaluate the nutritional value of this meal delivery service. 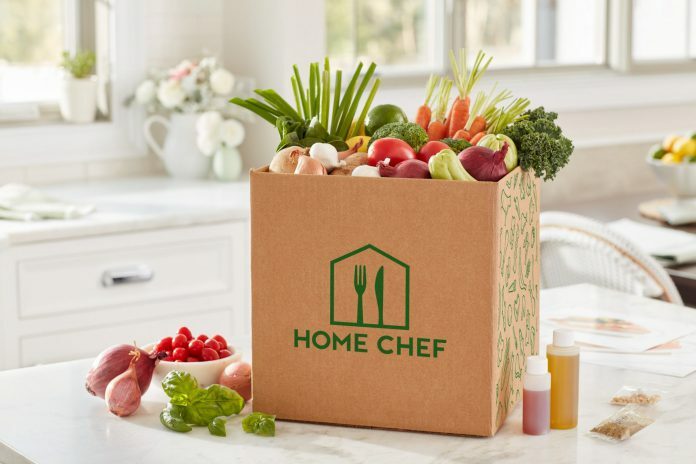 In this article, I’m going to provide you with a complete, unbiased review of the Home Chef subscription meal delivery service. 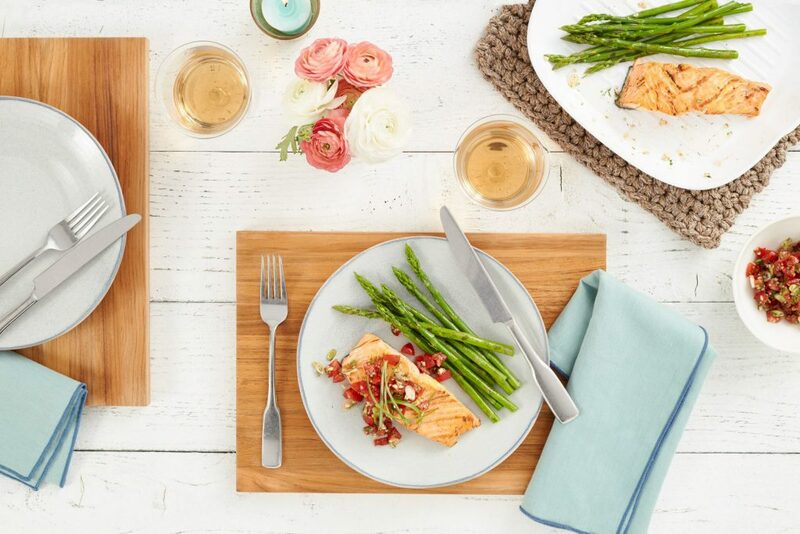 Home Chef is a weekly subscription meal delivery service designed to provide you with everything you need to bring more delicious meals and moments to the table, no matter how busy you are. It comes with many choices for delicious meals including the number of servings, ingredients to avoid, and ordering extras – like fresh fruit and smoothies. The company designed a user-friendly ordering process for new and returning customers. They also use all recyclable or reusable packaging, making them an environmentally friendly choice. Plus, if you decide that you don’t need an order for one week, or for several weeks, you can pause your account or put it on hold. 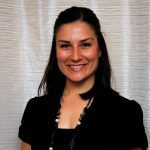 Check out the Home Chef blog for unique meal and drink ideas! As I mentioned before, ordering was easy and very user-friendly! The 3 meals I tried were Hickory-Seasoned Salmon with Everything Bagel Cauliflower, Burrata and Prosciutto Flatbread, Shrimp Linguine, and Maple Cranberry Bone-in Pork Chop. Delivery was on time and conveniently placed right in front of my door. The meal ingredients were of good quality and most were portioned for the recipe. However, total cook time took me approximately 10-15 minutes longer than what was estimated on the recipe card. This may have been because I was not familiar with some of the cooking techniques used. Honestly, I feel that if I were to continue to order meals, I would become much more comfortable with the techniques in the recipes. This was an unexpected benefit, as I didn’t realize ordering from Home Chef would help improve my cooking skills. The recipe card was easy to read and provided in a binder with the three recipe cards from my order. The level of difficulty of my recipes ranged from easy to medium. I felt that the level designation was accurate even though the easy meal took me longer than estimated. With over ten years of experience cooking for my family, I would have expected to keep within the estimated preparation time. The meals were great and tasted delicious! I have 2 children that gobbled them it up. My husband and I both agreed the meals tasted like they were from a restaurant. Conveniently, the nutrition information for each meal is available on Home Chef’s website. Therefore, I could view it before ordering. It was also printed on the front of the recipe card for easy referencing during meal prep. The nutritional breakdown of each meal includes calories, carbohydrates, fat, protein, and sodium. The recipe card also has allergy information listed beneath the nutrition facts. When choosing meals, you have the option to choose meat, seafood, vegetarian, low carbohydrate, or low calorie. If you have an allergy or specific food preferences, you have the option to avoid meals with any of the following: pork, mushrooms, wheat, soy, nuts, milk, shellfish, or red meat. Also, the portion sizes were generous for our appetites. With this in mind, I would have preferred the vegetable portion to be a bit larger. The calorie range for the meals I chose (without choosing low-carb or low-calorie) was 550 to 750. The sodium content was greater than 1500 milligrams per serving on all meals I ordered, which is more than half of the recommended intake, of 2300 milligrams, for an entire day. Unfortunately, saturated fat and fiber content were not listed. Fresh ingredients – Each week, we send perfectly portioned ingredients with our recipes, so you never waste food. We even organize ingredients by recipe, making life just a little bit easier. Environmentally friendly – Going green? Your Home Chef box is lined with recycled, compostable, biodegradable textile fibers. Ice packs inside cool your box and keep your ingredients fresh. Local, sustainable suppliers – We provide you with fresh ingredients from our community of trusted suppliers, sourced locally when possible, and choose partners with sustainability practices we believe in. Easy and fun – Our easy-to-follow recipes include tips and tricks to help guide your culinary adventure. When it comes to cost, the meals cost less than the same quality meal at a restaurant, but more expensive per serving than if I had done my own shopping. Meals start at $7.99 per serving with an average order size of $59. The standard dinner cost is about $10 per serving. The lunch portions are $8 and they have premium meals that are around $20 per serving, but vary with market cost. There is no subscription fee, you pay as you order. If you don’t want to continue ordering, you have to pause your account or they will automatically send you meals that they pick based on your preferences. You can earn credit toward meals by getting others to sign up with your account code. Delivery is free with orders of at least $45, but $10 dollars otherwise. Overall, you pay for convenience, which is the whole point of the service. If you can afford it in your monthly food budget, it is definitely worth it! As a dietitian, I found this meal service is a great way to increase your homemade meals while decreasing restaurant and fast food frequency. The company’s meal options accommodate various food preferences, specific nutritional needs, and portion control. Personally, I would not recommend Home Chef for those that are on a renal diet as the potassium and phosphorus content is not available. I also wouldn’t recommend this for those that are specifically watching their saturated fat and sodium content (i.e. those with heart disease). On the other hand, Home Chef would be an excellent option for those with pre-diabetes or diagnosed diabetes, as you can see the carbohydrate content for all recipes and filter to only see only low-carbohydrate options. Also, if your goal is weight loss, you can use the calorie content information to effectively plan meals and practice portion control. Overall, my experience with Home Chef was a positive one. It left my family full-bellied and satisfied. Plus, I took one less trip to the grocery store that week (hello ME time). While it may not be in my budget to use it on a regular basis, I have already found a few weeks that will benefit from a convenient, out-of-the-ordinary Home Chef meal. As a result, I recommend trying Home Chef if it fits into your budget and personal health goals. If you are thinking of trying a meal delivery service that has ample variety, tasty recipes, and a user-friendly ordering process, I recommend trying Home Chef. Whether you are cooking for two or four, adults or children, these meals are sure to satisfy while keeping convenience and personalization at the forefront. Very thorough review of the Home Chef service. I especially like the observation of the nutritional information. I could definitely see this as an option a few times a month to try new recipes and learn new food prep techniques. Great review Sarah! We’re glad you found this review helpful! Our nutrition team will be reviewing a number of subscription meal delivery services over the next few months. Check back or subscribe to our newsletter for more updates coming soon!